« From lost Intern to full time studio manager in 9 months. Written by Carson Ting. Posted on March 28, 2019. Filed under Drawings, Design. 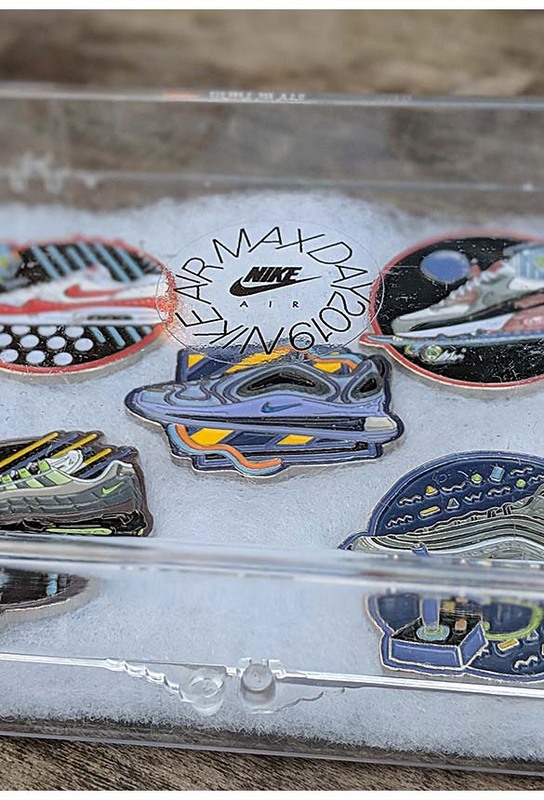 Tagged 2019, air max day, enamel, nike, pins. Bookmark the Permalink. Both comments and trackbacks are currently closed. 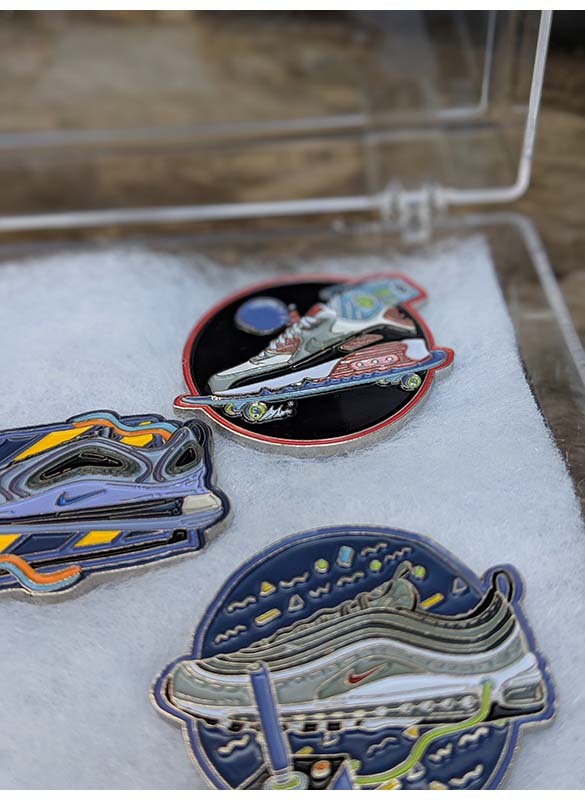 Super pumped to receive the actual enamel pin designs we did for Nike shipped to us at the studio this morning from Toronto. 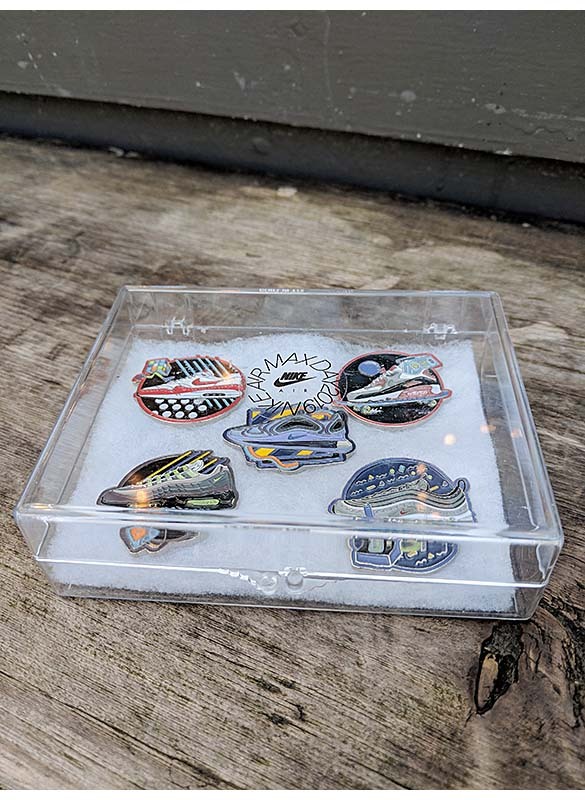 We designed and illustrated all 5 enamel pin designs. 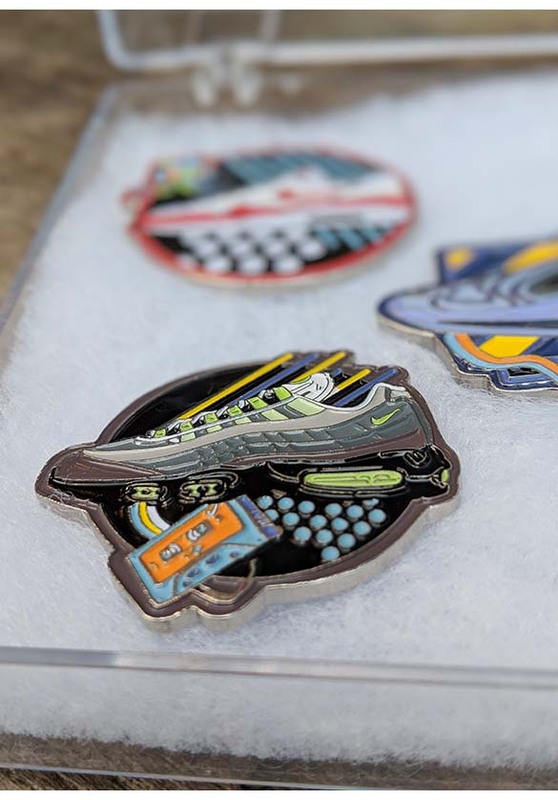 Each pin is to celebrate each Air Max design (Air Max 1, Air Max 90, Air Max 95, Air Max 97, Air Max 720) for this year’s Air Max Day and Foot Locker‘s 40th anniversary. Working closely with the amazing team at Momentum Worldwide we came up with 5 unique designs and illustrations for each pair. Thanks to our team, Aiken Lao (Studio Manager) and Emily Rose (Practicum illustration student from IDEA School of Design) for their help with visual research and creative development. 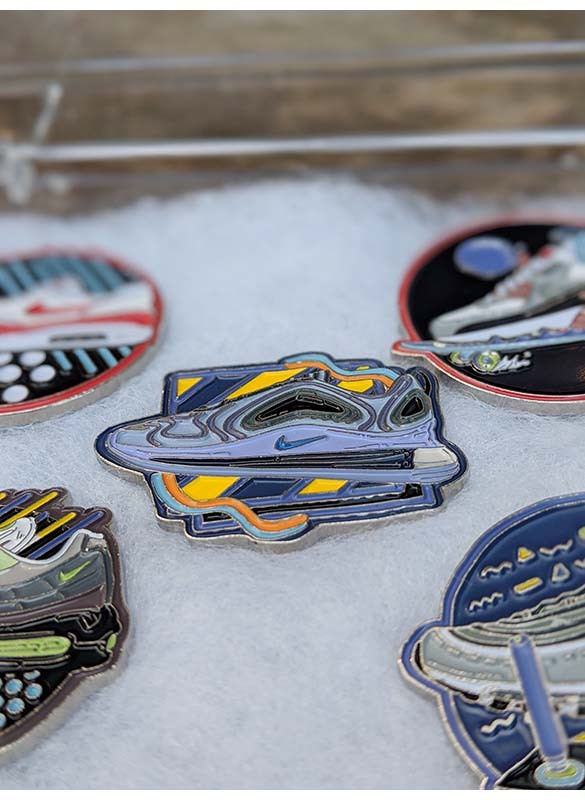 Go pick up a pair at Foot Locker (Toronto only) and get your hands on a fresh set of these very limited edition dope pins. It’s now or never.